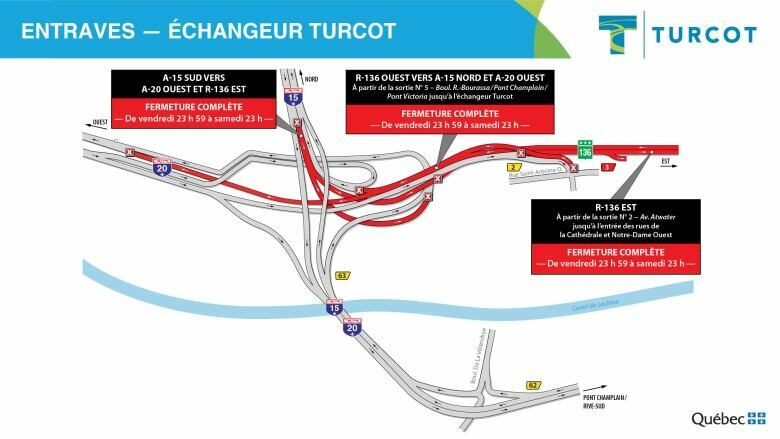 Work on the Turcot Interchange counts for most of the major road closures this weekend in Montreal. To minimize your traffic headaches, here are the spots to avoid. Westbound Highway 720 will be closed between the Champlain Bridge and the Ville-Marie Tunnel from midnight Friday to 11 p.m. Saturday. Westbound Highway 20 is also closed at the Turcot. Eastbound Highway 720 will be closed between the Atwater Avenue exit and Notre-Dame entrance from midnight Friday to 11 p.m. Saturday. 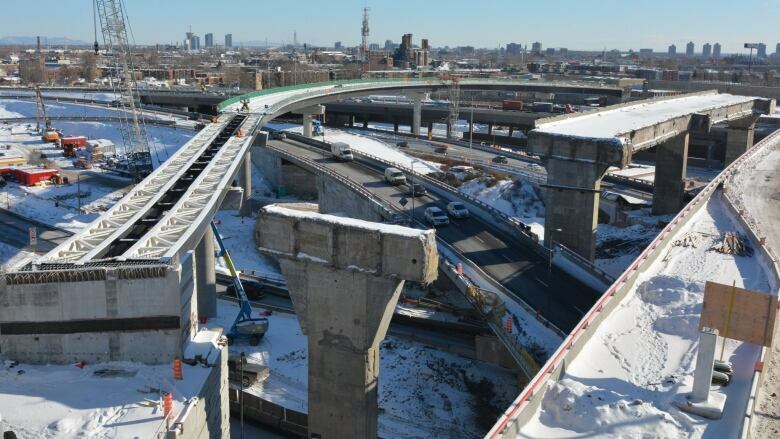 The Turcot's connection from southbound Highway 15 to westbound Highway 20 will be closed from midnight Friday to 11 p.m. Saturday. The Turcot's connection from southbound Highway 15 to eastbound Highway 720 will be closed from midnight Friday to 11 p.m. Saturday. The Turcot's connection from eastbound Highway 20 to eastbound Highway 720 will be closed from midnight Friday to 11 p.m. Saturday. Eastbound Highway 520 will be closed between the southbound Highway 13 entrance and the northbound Highway 13 entrance starting at 10 p.m. Friday until 7 a.m. Saturday.